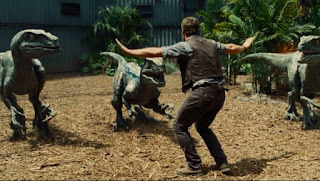 Jurassic World, Jurassic Park's long awaited true sequel finally arrives and it is huge, at least in its use of CGI. 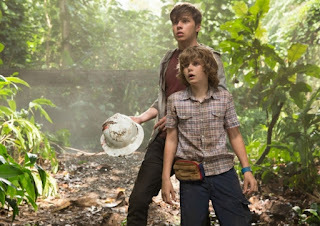 Skeptical expert in the form of Owen Grady (Chris Pratt), one big badass dinosaur in Indominus Rex, and kids (Nick Robinson as Zach Mitchell and Ty Simpkins as Gray Mitchell) in trouble, all checked! Many years after the fiasco that is Jurassic Park, the theme park, not the movie, Masrani Corporation led by Simon Masrani (Irrfan Khan) reopens the park in a more grandeur and spectacular way. 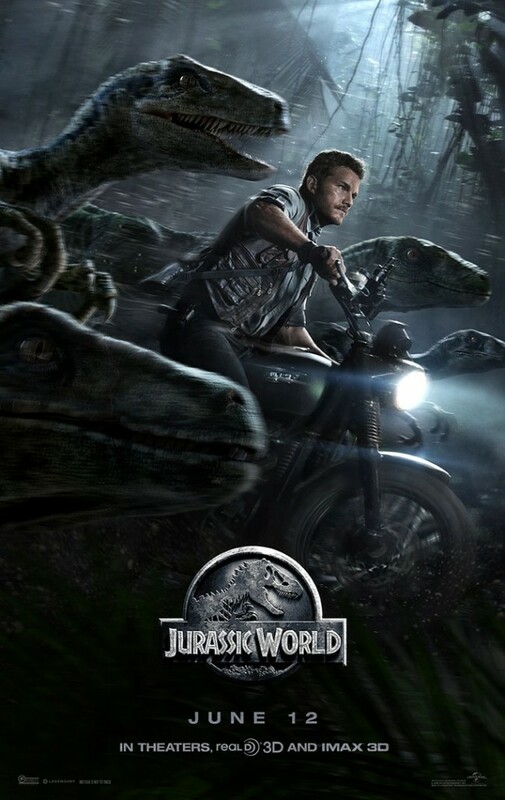 What you will love about the film as with all the other previous films are the dinosaurs. There is no shortage of dinosaurs from returning favorites (Velociraptors, T-Rex) to new ones (Mosauraus, Indominus Rex). They all move and sound like one would imagine as if they were real. 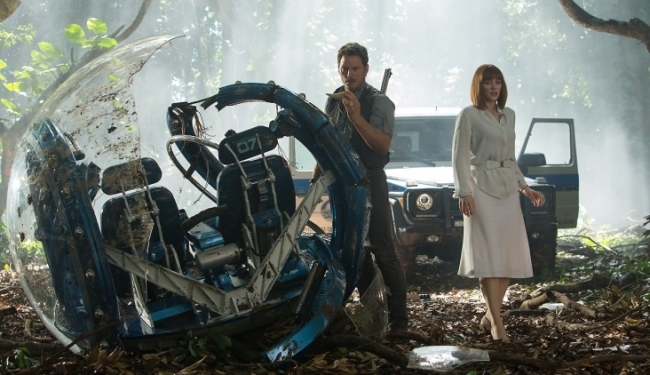 As cool as the Indominus Rex is suppose to be though, personally I believe the Mosauraus stole the show. He is the one in the trailers that jumps out of the other water to feed on a shark. As far as the humans, the cast for the most part really disappoints. As with the way the story is laid out, most of the beginning of the film is just a reintroduction to the world of terrible ideas. The cast is secondary and it shows in their lackadaisical performance. Only in the second half when dinosaurs are trying to eat them, do we see the characters come alive. That include leads Chris Pratt and Bryce Dallas Howard. Now a lot of people complained about the CGI heavy-handedness of the film. I am actually okay with that for the most part. The exception would probably be the dying Apatosaurus scene courtesy of the new Alpha of the theme park. What I am not a big fan of is the repetitiveness of these Jurassic stories, the laziness and preposterous ideas of these films. At one point I thought I was watching Predator. At another point, I am shaking my head, wondering what the heck does that "expert" expects to do with that small gun against Indominus Rex? Overall, I would recommend the film especially if you are a fan of the franchise. Just don't expect to be blown away, which you won't be. The sluggest first half of the film, by both the pacing and the acting really holds back the film from being greater. The CGI are at times impressive and lacking in quality also adds to the unevenness of the film. The only thing that could have made the film great with what it has is if they had use Star Lord of the Guardians of the Galaxy instead of Velociraptors rancher Owen Grady.